Best Live Dealer Casinos - 5 features that make a Live Casino stand out. Just what should you been looking for to find the best live dealer casinos? What sorts the men out from the boys? Where are you going to get the best playing experience? Just what should you be looking for? All great questions and something you need to know before making your choice of where to play. These days most online casinos have Live Casino Games. Fortunately most provide a quality product, so you’re not going to have a disaster if you just pick one at random. But taking this approach can risk spoiling your playing experience. Look out for these and you won’t go wrong. Not all live games have been created equally. While the basic games are the same, the playing rules, betting options, playing interface, speed of the game and the dealers can all be different. This is certainly true of the 3 most popular table games. 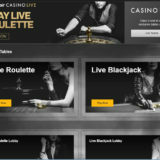 I’ve created 3 detailed guides, one for Live Online Roulette, Live Online Baccarat and Live Dealer Blackjack. In all of these I describe the different game types and where you can find them. Other games, like Poker games are broadly the same everywhere. It doesn’t really matter which one you choose you’ll have the same experience. This is easier said than done. There are literally 1000’s of online casino out there. There are some really good ones and ones that you should cross the road to avoid. How do you know which are the good ones? Use recommendations to determine who’s good and bad. I’ve done all of that work for you. The results are displayed in my List of Live Casinos. I’d also advise cross referencing with other review sites, just to make sure. But Remember you’ll only get the most detailed information on live casinos here. Everyone has a slightly different opinion, so don’t just take my word. The online casinos that take live casino seriously are the ones that have invested in their own dedicated tables. They want to give their players the best experience possible. A dedicated table is a way to do that. You’ll see the same dealers, the table and area will be branded as will the uniforms the dealers wear. The casino has control of the stake levels and they have the ability to offer on table promotions. You’re more likely to get a seat on lower limit Blackjack tables and you’ll bump into and be able to chat to other players on the tables. I’m not a fan of Welcome Bonuses, unless they are specific bonuses for Live Casino players. They are normally not worth it if your aim is to leave the table and withdraw your winnings. The wagering requirement can be very steep on live games. My advice is only use the welcome bonus if you want more table time and are not bothered about withdrawing winnings. Now, on table promotions I am a fan of. These can range from bonus cards being handed out while playing blackjack, to winning tech and gadgets to hitting lucky numbers on roulette. The quality of the prizes can be awesome. Look out for Cash Back on losses as this can be boost your balance when you’re busted out. As with all promotions check the Terms and Conditions before playing so you know exactly what to expect. Sometimes a promotion is not what it seems. Every casino should have a duty of care towards its players. Casinos licensed in the UK have to operate to certain standards to ensure that players have the tools, facilities and support to gamble responsibly. Even if you’re not from the UK you can still play at the casinos and benefit from the tools they have in place. make sure you understand what it means to gamble responsibly. You’ll have more fun if you do. If you just want to get playing somewhere I’d recommend these following casinos. Leo Vegas is without doubt the leader when it comes to games selections, promotions, dedicated areas and software selection. 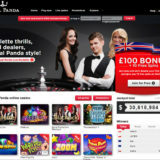 They are literally a one stop shop for live casino. You can’t go wrong here, so they are my number one pick. Royal Panda has a reduced selection of suppliers, but they do have the most popular with Evolution and have dedicated tables. The Panda gives it a quirky feel. Genting is a land based casino at heart. 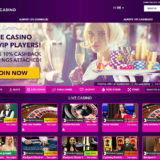 Their online live casino is really cool, with two dedicated areas, one especially for VIPs. They know how to treat their players. Unibet are one of those suppliers that has a good mix of games. They run Tournaments all of the time, so if’s that your thing you’ll be looked after here. Codeta is a relatively new casino. They’ve been around since 2016, but are trying hard to be the Live Casino of choice for everyone. In my opinion they have a little way to go, but they have a great selection of games and are starting to offer some better promotions.